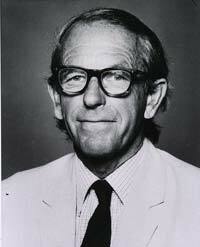 Frederick Sanger was a biochemist who was born in England in 1918. Sanger became quite interested in science and nature as a child. He won the Nobel Prize award in 1958 in Chemistry for discovering insulin’s structure. In 1980, he won his second Nobel Prize award in Chemistry for his work on the sequencing of DNA molecules. Sanger grew up in Gloucestershire, England. He was the son of Frederick Sanger who was a general practitioner. He was brought up in a wealthy Quaker home. His father had once been an Anglican missionary in China who converted to Quakerism after he was married. His maternal grandfather was a prosperous cotton manufacturer that also had a Quaker background. When he was five years old his family moved to Tanworth-in-Arden, a small village in Warwickshire. His family was well off and they had a governess that taught the children. In 1927, he was enrolled in a residential preparatory school which was operated by Quakers. When he was fourteen, Sanger was enrolled in Dorset’s Bryanston School. This school had implemented the Dalton system which was a more liberal program that Sanger preferred. In 1940, he married Margaret Howe and they had three children. During World War II, Sanger was a conscientious objector because of his Quaker religion. He enrolled in Cambridge University, although his family thought he would become a doctor like his father, he decided against studying medicine. He wanted a science career because he wanted to be a problem solver. After receiving his degree in 1939, he went to Cambridge to get his Ph.D. on the metabolism of amino acids. In 1943, Sanger received his doctorate degree in biochemistry from St. John’s College. He then started working on identifying insulin’s free amino groups. During the course of this work, Sanger identified methods to order these amino acids. Sanger was the very first person to find a protein sequence. By doing this, he demonstrated that proteins actually were ordered molecules. By analogy, the DNA and genes that made these proteins must have a sequence at the same time. He was given the Nobel Prize award for Chemistry in 1958 regarding his research on protein’s structure. By 1951, he joined Cambridge University’s Medical Research Council. In 1962, he went to work at the Molecular Biology Laboratory in Cambridge. Francis Crick, Aaron Klug, and John Kendrew were also there working on DNA’s sequence problems. Solving the DNA sequencing problem was related to Sanger’s research on protein sequencing. At first he explored methods to sequence RNA since it was smaller. In due course, this resulted in techniques which were very applicable to DNA. Ultimately, this led to the dideoxy process which is normally used today in sequencing reactions. He was awarded another Nobel Prize award for Chemistry in 1980, and shared it with his associate, Walter Gilbert, because of their contributions about the determination of the base sequences found in nucleic acids. In 1985, he retired and spent much of his time gardening. The Medical Research Council and the Wellcome Trust established the Sanger Center in 1992. It is a research center that furthers the knowledge associated with genomes. This research center has become one of the most important sequencing centers for the Human Genome Sequencing Project, as well as sequencing projects for other kinds of organisms. Today, he still lives in his Cambridgeshire home.